Coming into this course I have a lot of background knowledge on using technology in my classroom. About five years ago went to a PD conference in Canada where I had the chance to stumble into short session on digital learning with a guy named Will Richardson. The session was short, but this Will Richardson guy was inspiring, and he really made me realize I needed to be using technology as a teacher. I dove in. From that point on I tried everything I could in the classroom. I got kids to blog, to comment on blogs, tried out wequests, got students to bring in their own devices to make videos, and among other things, tried to start a collaborative writing project with a colleague in Canada (which in the end didn’t work out due to admin barriers on the Canadian end), but I know I haven’t even brushed the surface of possibility. I essentially burned myself out because I never really felt like I new what I was doing. Each new thing I tried was an experiment , and I often wasn’t sure of the end result. I think I needed a break because this year I’ve stuck mostly with using Google docs for writing, because I know it is effective and fits smoothly. 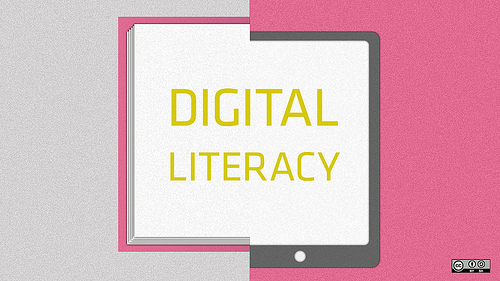 What hope to get from this course is first of all inspiration to more actively teach more digital literacy with more knowledge and purpose. I like the SAMR model because it is very useful for to define what I’ve done, and what I’d like to do. I can see I have done a lot of substitution ,and I have done some redefinition. I think that I need to challenge myself to think about what I’ve already done, use some of that knowledge, and move forward into something new. However, I’m not sure what that looks like at the moment.